It is very common for first time bloggers, or even full time bloggers, to complain about the lack of blog traffic. No matter how hard they try, they can’t even reach 100 or so blog views per day. Many bloggers don’t know how to maintain their blogs and some aren’t aware that they must try to work a little harder to help their blogs grow. The early days are usually the hardest period. You need to put some hard work in without even knowing that you will achieve acceptable results. These 4 steps should be executed as planned. Maybe 2-3 hours per day. The more available time you have, the better you can accomplish these steps. If you are not familiar with this term, a killer article is like a pillar article or link baits. It is a long and relevant article that has a goal of delivering a big amount of value to potential visitors. For instance, if you have a blog about article marketing then you could write an article entitled “Top 10 Reasons Why Online Marketers Fail with Article Marketing”. Create a list of resources. The bigger the list, the better. Write about finding a solution for a common problem. Write a detailed tutorial teaching people on something they don’t know well. Write an in depth analysis on topics which are vague to people’s mind. Spend at least 1 hour researching, brainstorming and writing killer articles. Your goal here is to come up with killer article every 15 days or if possible, every week. So that means your killer article can take up to 7 to 13 days of work. Spend at least 30 minutes to dedicate on networking. It may be by commenting on other blogs with related niche, linking to the posts of bloggers and interacting with your audience in your niche via email or instant messenger. Your goal here is to build genuine relationships, not for the sake of promoting your blog. Approach them with respect so your audience and bloggers can grow with you together. Whenever you publish one of your killer articles, you should promote it and push it any way you can. Again, at least 30 minutes of your time. You may let people in your network and other bloggers know it. You can also get some help of your friends to submit it in social bookmarking sites or tweet them. You can also post them in newsgroups or online forums. If you have plenty of time to spend with it, spend it with social media marketing or in general, with search engine optimization. Those can range from keyword research to promoting your blog through guest postings. A blog does not live with killer articles alone. Spend 30 minutes or 1 hour to do normal posts. 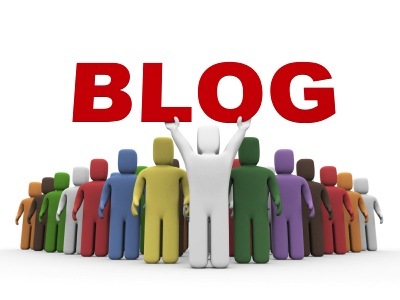 Normal posts are the one you publish in your blog daily. They can be a post linking to another post or blog; or a post informing your readers about some news on your niche. You could publish your normal posts every Mondays through Thursdays and killer articles every Fridays. Killer articles are essential in promoting your blog to bring in new readers but normal posts are important in creating diversity in your content and keep your reader engaged. Hope you put this into play asap.